Village Green administrator Linda Pierce is seen here at an information table during the home’s launch party for the OLTCA’s Better Seniors’ Care campaign on Oct. 26. Village Green kicked off its support for the Ontario Long Term Care Association’s (OLTCA’s) annual Better Seniors’ Care letter-writing campaign with an event that featured music from the Selby long-term care home’s resident choir as well as information tables to educate people about the importance of sending signed letters to MPPs in support of improvements to the long-term care sector ahead of the 2019-20 budget. The campaign will be ongoing until spring, when the budget is released. The Oct. 26 event included information tables with laptops and iPads to help attendees learn about the campaign. Village Green team members also handed out surveys for residents and family members to fill out about the aspects of care that are most important to them. The added twist to this year’s campaign launch party was the home’s resident choir which performed for guests (stay tuned for an upcoming story about the choir). The event was dubbed Music on the Green. “The residents sang a couple of songs, and that was really nice for everyone, and cake and refreshments were handed out to everyone coming through the door,” Village Green life enrichment co-ordinator (LEC) Karen Coulter tells The OMNIway. 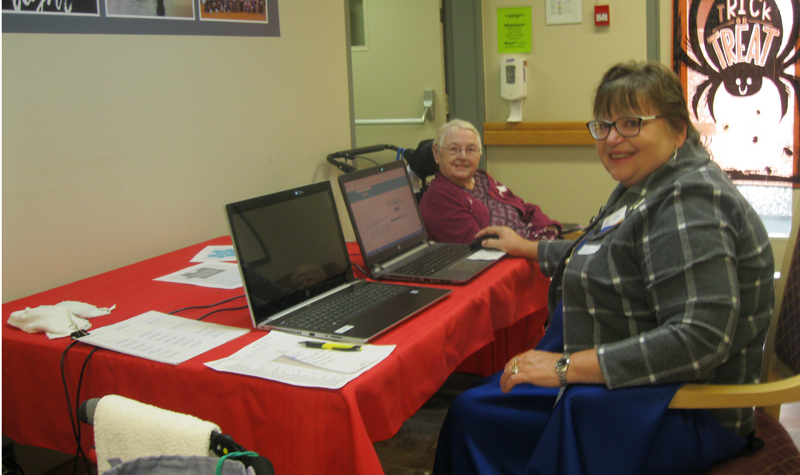 Residents and staff members from another area long-term care home – Friendly Manor in Deseronto – also showed up at the event, the LEC adds. Karen says Village Green had a successful Better Seniors’ Care campaign in 2017-18, and the home is looking to match or exceed the number of letters signed last year. Click here to learn more about the Better Seniors’ Care campaign.